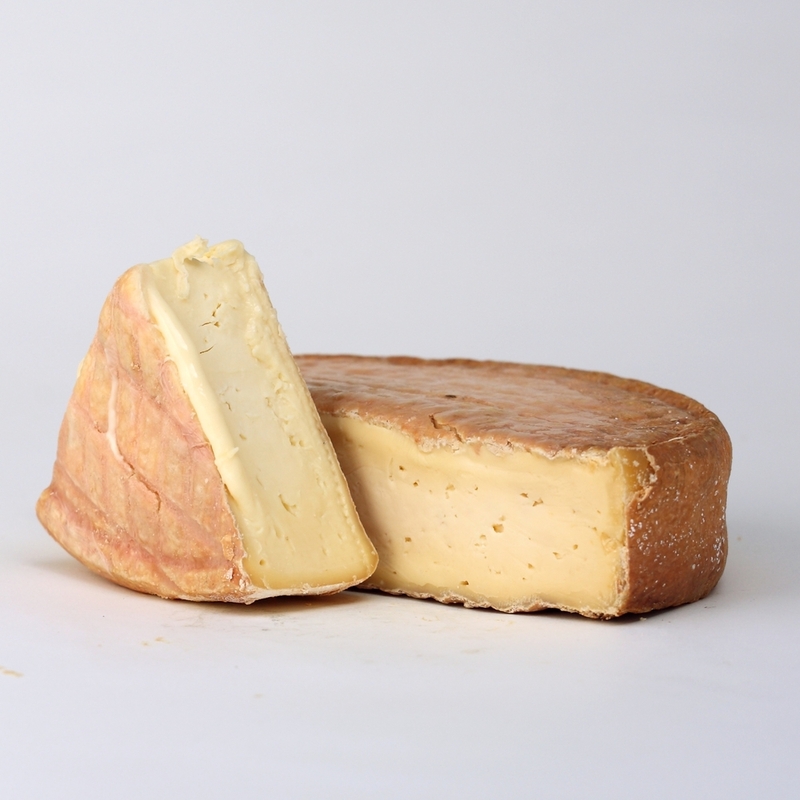 This cheese, made by Mary Burns since the early 1980s, takes its inspiration from the French washed rinds, like Munster, or Livarot, and where those cheeses take inspiration from the land – Gewurtztraminer wine in Munster's case, Calvados in Livarot's – so too does Ardrahan; the brine-washed rind effectively brings out and exemplifies the tangy grassiness of the milk, which is itself a reflection of the unique Irish terroir, with its long rainy seasons and lush pastures. The aroma is earthy and rustic, and the flavours – which have great depth – can range from charred beef to tartare to peanut butter to sauteed mushrooms. Fantastic with robust red wines. This cheese is no longer in production.